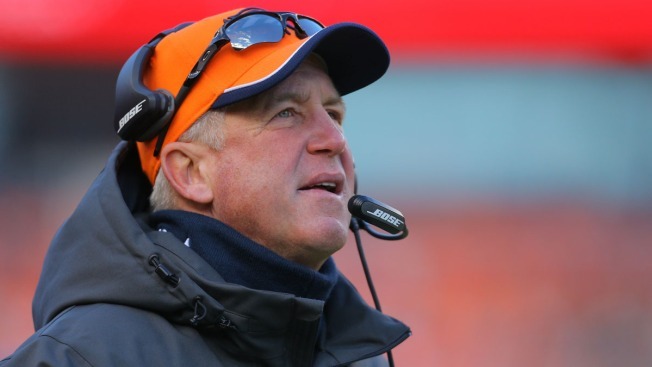 The Chicago Bears are busy interviewing candidates for their vacant head coaching position, and on Wednesday they will add another name to that list as they will talk to former Denver Broncos head coach John Fox. That report, which came from Mark Maske of the Washington Post, confirms that the team is in hot pursuit of the veteran coach’s services. He left Denver on Monday after four straight playoff trips with the team, but he ultimately disagreed with team president John Elway over the direction that the franchise was going, and both sides agreed to part ways. The Bears did interview two other candidates for the job on Tuesday, as they talked to former Buffalo Bills head coach Doug Marrone and Detroit Lions defensive coordinator Teryl Austin. They also have spoken with Seattle Seahawks defensive coordinator Dan Quinn, Arizona Cardinals defensive coordinator Todd Bowles (who was hired this week by the New York Jets), and Broncos offensive coordinator Adam Gase, who is having a second interview with the San Francisco 49’ers.